Around these parts, we often talk about the food of the poor. However, we don’t mean it in a disrespectful way, but we are rather in awe of how some of the best dishes were born because people had to get creative and use whatever they found in their kitchen. 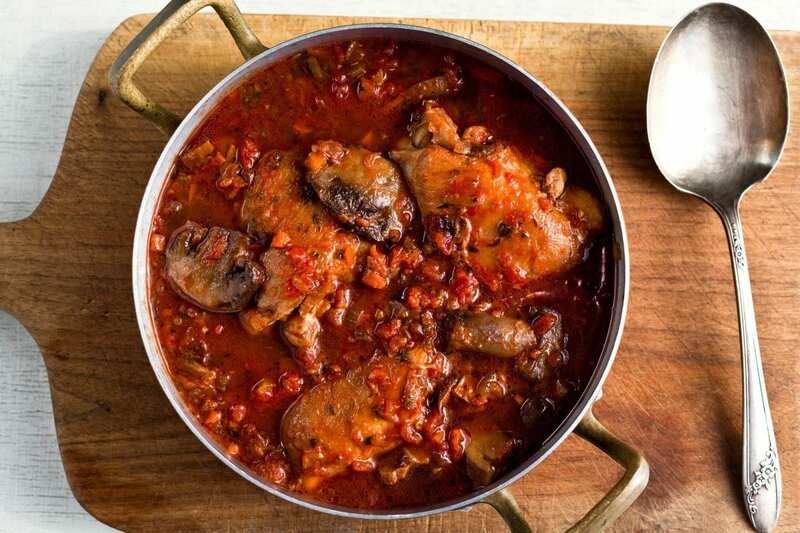 That is an art in itself too, because it’s not enough to take 10 random ingredients, throw them in a pot and hope the result will be edible, but it’s about finding the right balance…just like this authentic Italian chicken cacciatore recipe. 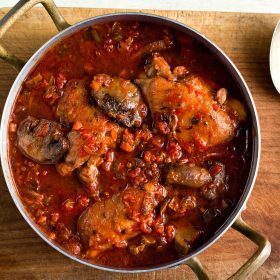 The chicken cacciatore is a traditional Tuscan recipe, which is very popular across Italy, especially in the northern parts of the country where another popular recipe hails from, minestrone. It’s a simple recipe, but incredibly tasty, thanks to ingredients such as onions, tomatoes, and red wine, which enhance the flavor of the chicken. 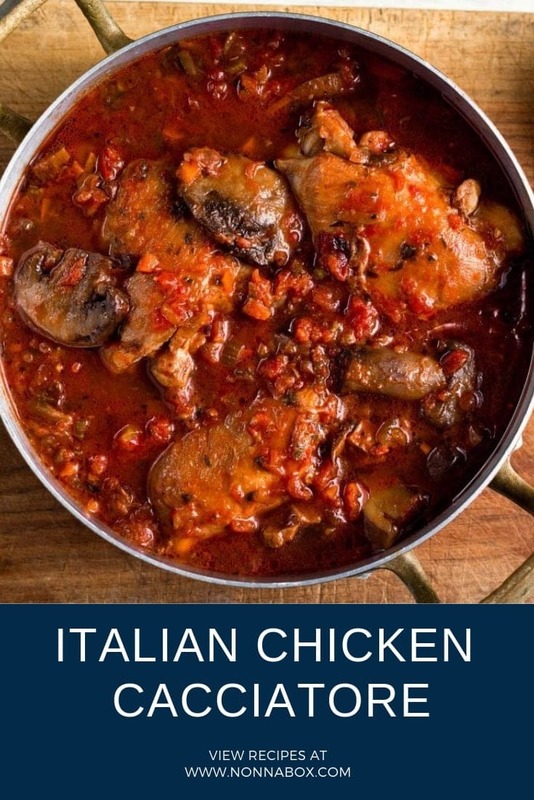 The origins of this authentic Italian chicken cacciatore recipe, once again are to be found among poor people, using chicken bred by farmers. The dish is so popular that it even has its own national day on the 15th of October. “Cacciatore” actually means “hunter” in Italian and some say that the first cacciatore dish didn’t even have chicken, but rabbit meat. However, in true Tuscan style, we are going with the authentic one. This recipe is a famous Italian recipe called Pollo alla Cacciatora. It became famous in the US as well, it's an easy recipe that you can make it at home. First, clean the chicken thoroughly and cut it into pieces. Don't peel off the skin, as it will give it more flavor. Heat the oil in a frying pan and fry the chicken pieces on both sides for about 10 minutes, until golden. At this point, add the finely chopped onions, garlic, the chopped carrots and celery, with a pinch of salt, pepper and rosemary, and leave it all in a sauté for another 5 minutes. When the mix gets a nice color, pour red wine over the chicken and let it evaporate. Then add the tomatoes, cover with a lid and let it cook on medium heat for 30 minutes (or until the chicken is well cooked and soft) during which, if the chicken becomes dry, add a bit of water or broth. Once cooked, add the chopped parsley and serve the chicken with polenta or mashed potatoes. When you fry the chicken, to make it lighter, you can remove from the pan the grease spilled from the skin. After adding the tomatoes in the pan, you can also add a sprig of thyme and a little nutmeg to give it an extra touch of flavor. In Abruzzo, cacciatore is made with garlic, rosemary, white wine and olive oil. At our house, we use rabbit. This child of mine has the most fickle pallet I’ve ever eneeuntcrod. Feta, dijon, pickles? Yes! But try and get her to eat a freaking peanut butter sandwich (or any other normal, easy, kid food) and you’re up a creek. Great recipe. 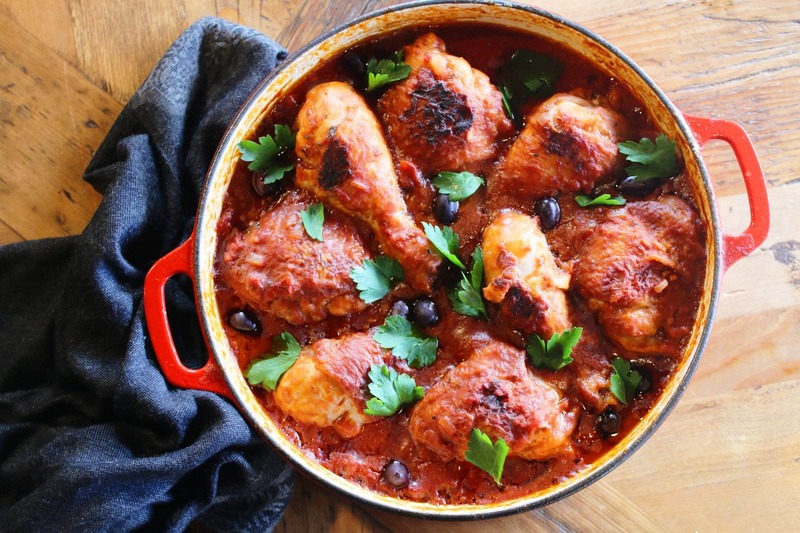 I loved chicken cacciatore and made this for my family on Sunday, they all loved it!